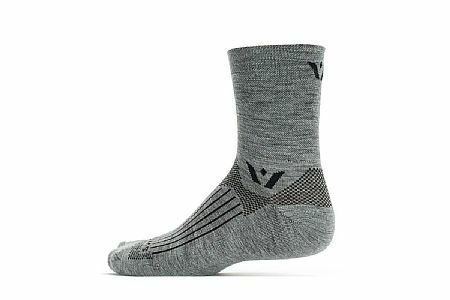 I purchased these socks to provide some cushioning for my feet in my MTB shoes, as the wide width of my current shoes is wider than the 20 year old pair that I retired. I have avoided socks in my road shoes because my toes fall asleep on longer rides. I wore these socks on a cool morning road ride and I was thoroughly impressed with their comfort and cushioning - no tingly toes. I have worn these socks on all my road rides this year and wish Id found these socks sooner. Love Swiftwick socks! This wool sock is great for cool mornings, and is comfortable in the warmer afternoons. Another great sock.